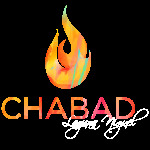 At Chabad our goal is simple: We want our students to view Judaism in an intelligent, relevant and upbeat light. By year's end, along with Hebrew literacy, Holiday learning, and prayers, your child will have developed a deep love and appreciation for their precious heritage, imbuing their every day with a sense of pride and purpose. To make a Sunday Hebrew school the beginning of Jewish learning, not the end. To provide education that will instill pride, a sense of history, love for the land of Israel and a genuine understanding of what Judaism is all about. Chabad Hebrew School welcomes every Jew, regardless of religious background or level of observance. It is for this reason that our school does not require any synagogue membership or prior affiliations as a condition for enrollment. No Student is turned away due to a lack of funds!